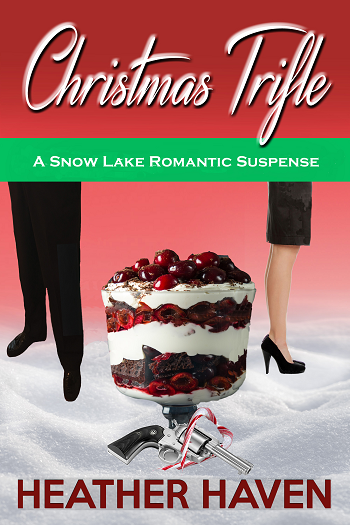 Book 1 of the Snow Lake romantic suspense novels. The snow always looks like its dancing on the thermal lake bordering this tiny ski resort in the Sierra Mountains. Two chefs, madly in love but seeking divorce, must put aside their feud and work together in the first book of this cozy mystery series. Christmas Trifle will be available for pre-order in June. My latest books are a spin-off of the Alvarez books focusing on the romance between Lee Alvarez and Gurn Hanson. These two love birds are still solving mysteries, but these books are lighter in tone, with less emphasis on the bang of a gun and more emphasis on the bang chemistry you get when two firecrackers make spark after spark. In the first book, Honeymoons Can Be Murder Lee Alvarez goes to Hawaii, and mystery awaits. 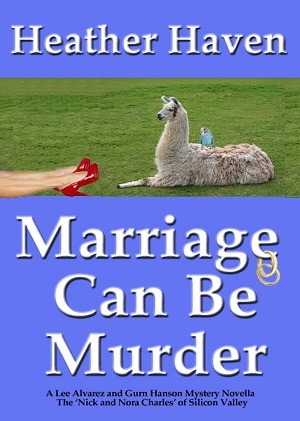 In the second book, Marriage Can Be Murder, our newlyweds take on noir detective tropes when they have to find who's trying to kill a fading movie star. Facebook now let's you follow a personal profile. Follow my personal profile on Facebook and like my page. Exciting News About My New Book!